An ideal surface for students and teachers to practice on, Blick Wonder-Cut Linoleum offers softness and consistency with no slippage. 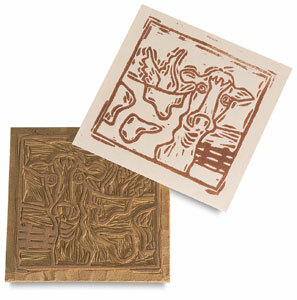 It is easier to cut than our softer Golden-Cut, yet holds sharp lines with no crumbles, for clear, sharp prints. ® Blick and Blick Studio are registered trademarks.® Wonder-Cut is a registered trademark.